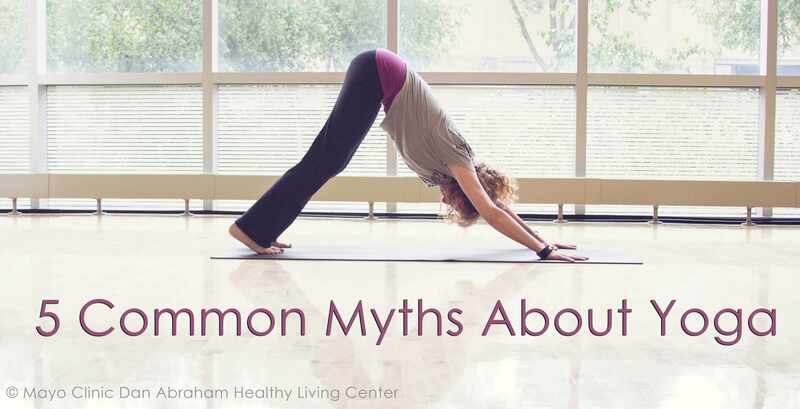 September is National Yoga Month and to celebrate, we wanted to bust 5 common myths about yoga. We know there are preconceived notions about what yoga is or is not and we talked with our Yogi (one who practices yoga) expert, Lori, to get the details to share with you! 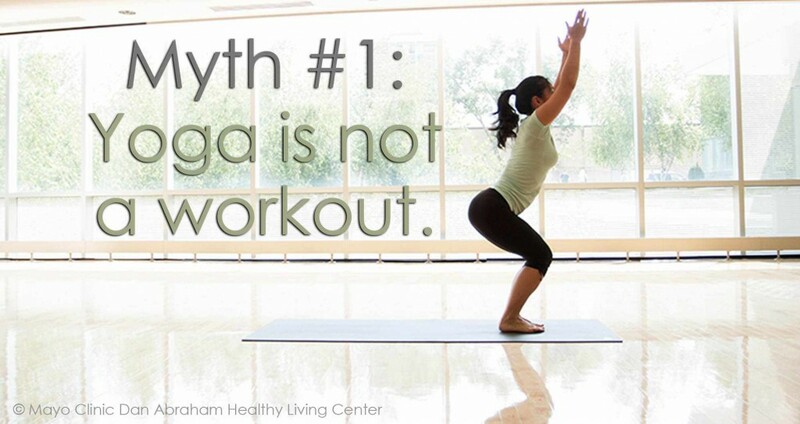 Myth #1: Yoga is not a workout. If you think that yoga is simply a relaxing break with little effort involved, you may want to think again. Yoga’s benefits range from strengthening core muscles to improving posture and balance to making a purposeful connection between mind and body. 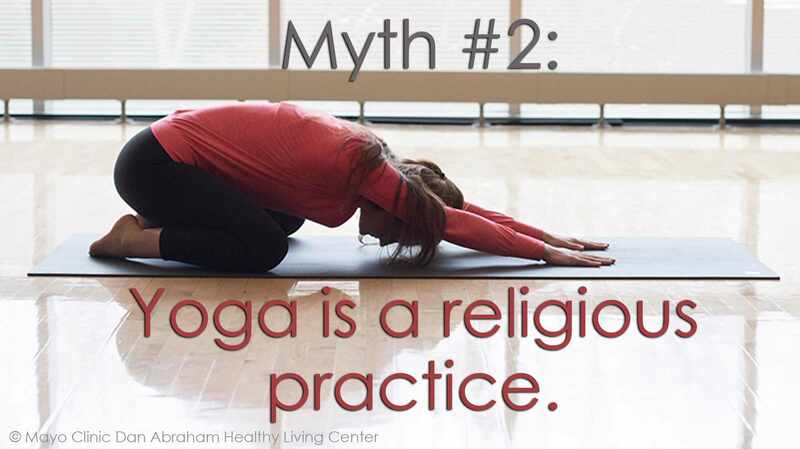 Myth #2: Yoga is a religious practice. Rather than being a religion, “yoga” literally means joined together. In other words, yoga is a practice wherein the mind and body come together through challenging and strengthening exercises that can boost your mood and help you stand a little taller, both physically and mentally. Myth #3: I’m not flexible enough for yoga. Don’t be intimidated by some of your super flexible peers (most of us can’t bend over backwards like that!). Yoga presents a unique progression of movements that can be executed at different levels and speeds. The wonderful thing about yoga is that you can modify each move to find a balance between ease and challenge for yourself. And, if ever in doubt, you should always feel free to ask your instructor…that’s what they are here for! Myth #4: Only women do yoga. Many men feel uncomfortable when it seems like the majority of yoga participants are female. However, yoga is just as beneficial for men and should be viewed as such. Women, encourage your men to join you at yoga! Men, be confident when you walk into that yoga studio, knowing that yoga is improving your health as much, if not more, than lifting those weights. 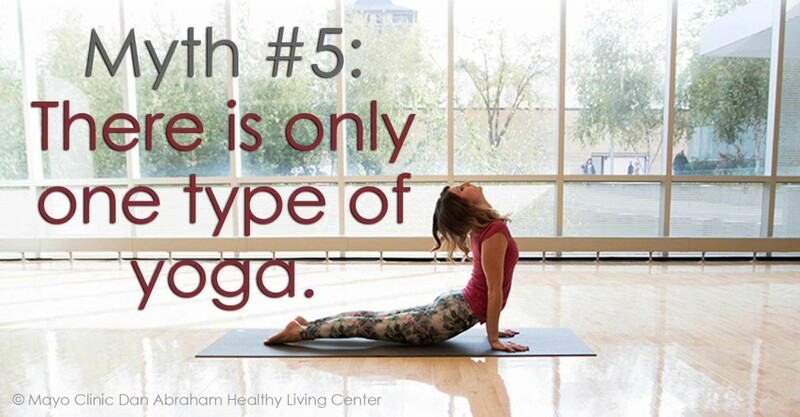 Myth #5: There is only one type of Yoga. Did you know that the DAHLC offers more than 5 types of yoga classes? You can choose from Adaptive, Essential, Experienced, Challenge, Warm Yoga and more! With yoga, there really is something for everyone; young to old, beginner to experienced, non-flexible to flexible, and so on. We will go into the details of each level throughout this month! 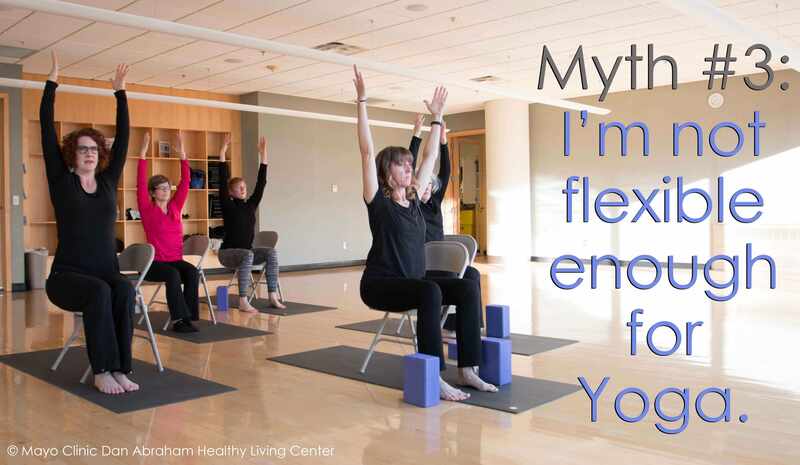 We hope we busted a few myths you had about yoga, and we encourage you to become a Yogi with Lori and participate in one of our yoga classes - bring a friend if it makes you feel more comfortable! Here is our list of drop-in yoga classes we are currently offering. We also have private yoga sessions available and can call our front desk to set up a time that works for you (507-266-4688).